Welcome back to the Hampton Art blog, stampers! Make horizontal-fold card base, score, and fold. Open card and die cut bottom of card front. Die cut one panel from each of the patterned papers and adhere to back of card front. Die cut "happy" and adhere. 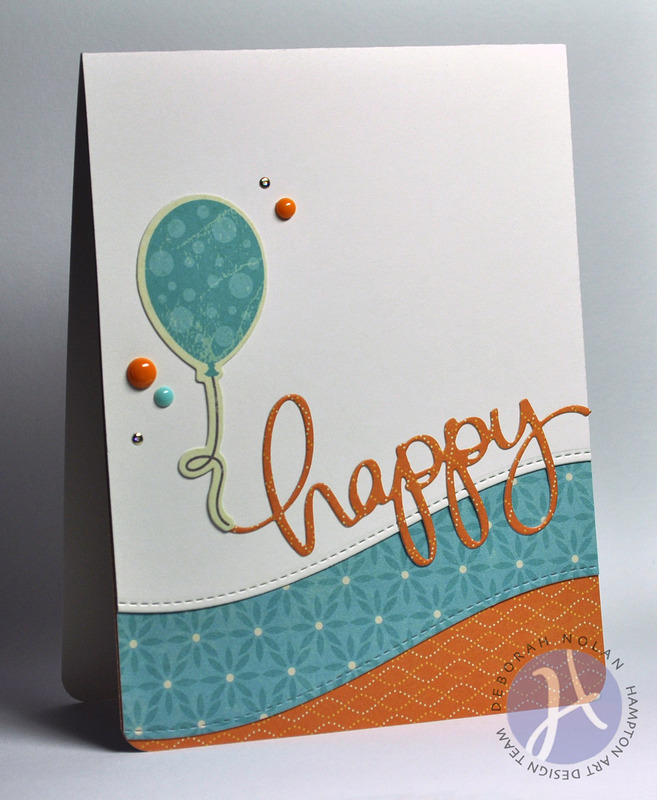 Adhere balloon cut-out, sparkle stickers and enamel dots.